Paintballing is no doubt one of the coolest games or sports I can think of. But have you ever wondered how you can make things even more interesting? 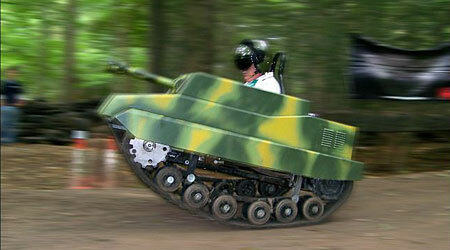 Think about paintball battles using tanks! It’s time to ring your mates and choose your team, for this is one fight you won’t want to miss. 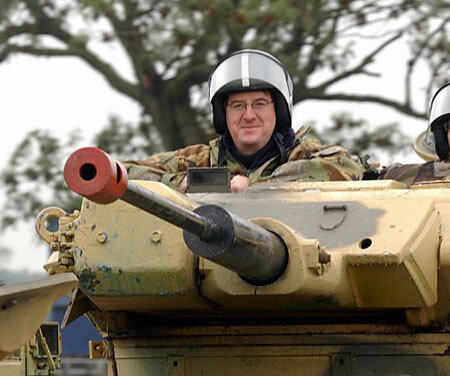 It’s not every day you’re let loose in a muddy field with a modified APC tank and a load of paintballs. You’ll be part of a three man team, so take turns between manning the wheel, loading the breach and pelting your opponent. Don’t worry, you’ll get some training first to ease you into it, but after that you’re on your own. Aim the paintball cannon on the turret of your tank to fire against your enemy, but watch out, they’ll be hunting you down too. When you peek from your periscope and see a real-life tank closing in, you’ll soon realize the next couple of hours are going to offer the most intense battle simulation of your life. There’s no mercy on the battlefield and your best defense is solid preparation, follow these tips and you may just stay alive. 1. Make every shot count. Firing willy nilly at anything within 20 feet of your opponent won’t improve your hit rate, it just wastes ammunition. You’ll get the chance to test your range in training, so use this knowledge to your advantage. Accuracy is key, only let a shot go when it stands a genuine chance of hitting the target. 2. Good communication is vital. That’s right, I said communication, as in not just yelling a series of expletives in the hope your mates will understand – don’t worry we’ve all done it! In the heat of the battle the pressure is on and you’ll have to react quickly as a team to counter your opponent’s strategy. The only way you’ll be able to do this is through no-nonsense chatter about the enemy position and tactics. You can laugh about any mishaps later. 3. Place your shots strategically. Your opponents have the same equipment at their disposal as you do so think about your weaknesses and where you’d least like to be hit. That’s right, windows and the periscope itself. Use your fire power where it will hurt them the most, you don’t need to worry about the drivers windows, aim for the gunners as this will cripple them. Without visibility they’re in nothing more than a big green box with no ability to defend themselves. Take your opponents sight and victory is yours. Watch out though – be under no illusion, your enemy will be trying the same strategy on you, so be quick! 4. Break your opponent’s balls! Here’s one for the unscrupulous amongst you, I mean all’s fair in love and war, right? To achieve maximum impact from your paintballs aim for any barrels sticking out of the tank. This is where the paintballs are stored, so impacts here will break the balls making them shoot unpredictably. It’s obvious really; if your opponent can’t shoot straight the chances of them hitting you are massively reduced! At the end of the day it’s all for fun, and whether you win or lose you’ll have had an action packed driving experience you and your mates will never forget, and can laugh about down the pub. Jamie McMackin contributed this guest post for Wish.co.uk. See their site for more driving experiences. Jamie is a freelance writer. He is also an automotive enthusiast and his articles mainly appear on auto blogs. This entry was posted in Land Sports, Paintball and tagged Paintball, Paintball with Tanks, Paintballing. Bookmark the permalink.